The Vikings were peoples from Scandinavia (Denmark, Norway, and Sweden) from about 700 AD to about 1100. This period is called the Viking Age. Vikings travelled great distances in their longships, as traders, settlers and warriors. Many of the Vikings were tall and had red or blonde hair and beards. Villages on or near any coast in early medieval Europe lived in great fear of Viking attacks. Some of the countries most affected by Viking raids were Britain, Germany, France, Spain and Italy. The word viking seems to have two uses. The word vikingr, taken from rune stones, meaning a man who has gone with other men on a military journey. Viking is a word for the journey itself. The word did not seem to include those who went on peaceful trading journeys. 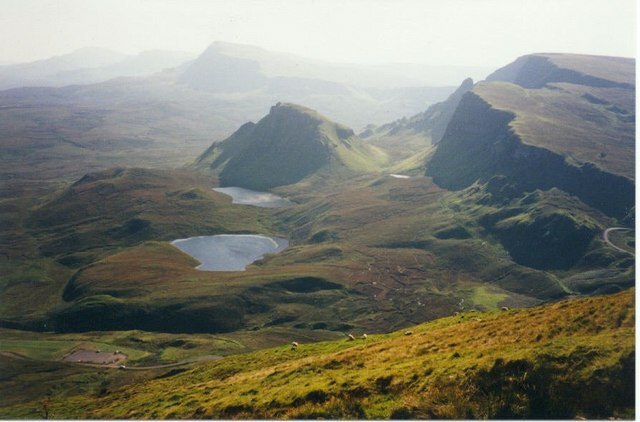 The people of the far north, later called Vikings, were first noticed by the Romans around the year 100 BC. This is when the Cimbri and the Teutons moved into southern Gaul. The Romans believed these war-like tribes came from Jutland. But the Romans suspected they were only a part of a greater threat located further north. The Roman historians Jordanes described the destructive Ostrogoths and Visigoths as having come from Gotland. The northern menace survived the fall of the Western Roman Empire. The Frankish Empire that succeeded them in Gaul became more and more aware of the northern threat. As the later Carolingian Empire expanded into northern Germany they came into contact with the Danish people. This is when the Vikings first entered into written history. The first recorded raid in the west was at Lindisfarne in 793. Why the Vikings suddenly began raiding is not completely clear. But a popular theory is the populations had grown to the point there was not enough food to feed everyone. The earliest raiders did not seem to want to move out of Scandinavia. They turned to looting, then returning home. This seems to indicate there was space enough for everyone. Because they found raiding so easy, it became more and more popular among the Vikings. Three different groups of Vikings can be identified. They took three different, sometimes overlapping, routes. 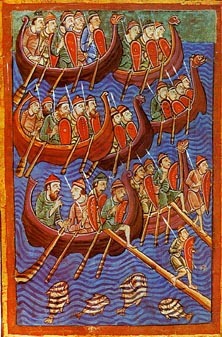 Danes raided England, Gaul, and followed the Atlantic coast of Europe south into the Mediterranean to Italy. Swedes went eastward into the Baltic Sea. They followed the Volga and Dnieper Rivers south as far as the Black Sea. One group, called the Rus', founded the settlement of Kiev. They called it Russland (later known as Russia). Norwegians raided England but preferred Ireland and Scotland. They also traveled to Greenland and about the year 1,000 AD landed at a place they called Vinland (North America). Europeans were scared of the Vikings because of their strong weapons, swift attacks, and cruel fighting tactics. They were known for their bad treatment of women, children and monks in the places where they fought. When the Vikings came to England, the English kings paid them to leave the country, but the Vikings took their money and sometimes fought them anyway. These payments were called Danegeld. From the 9th century to 1066, when the French Duke of Normandy, who became King William I of England, conquered it, Danish and Norwegian Vikings ruled large parts of England. 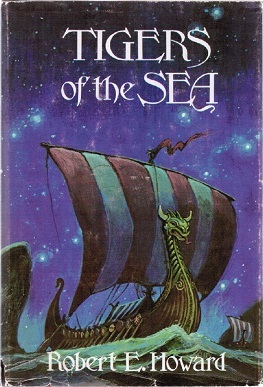 Because of their longships, which could float in 4 feet (1.3m) of water, the Vikings were able to make their way up rivers and land deep inside a country. For example they sailed up the River Shannon in Ireland and built a harbour 60 miles (100 km) from the coast. There was a difference in who led Viking raids. In the 9th century Viking Age raids were led by men who may have been exiles in their own countries. The later Viking raids in the late 10th century and early 11th century and were led by Kings. Some of the early leaders tried to become kings with the riches they plundered from Europe and Russia. Some were successful but most were not. The Vikings were called Rus' by the peoples east of the Baltic Sea. The Vikings who settled in Kiev and formed the first Russian state. The Vikings (Rus') who served the Byzantine Emperors were called Varangians. They became the personal bodyguards to the Emperor and were called the Varangian Guard. The Vikings traveled through Russia, the Mediterranean Sea, southern Europe, northern Africa and south-western Asia. Some Vikings sailed across the Atlantic Ocean via Iceland and Greenland and may have explored places in North America. The ruins of a Viking settlement have been found at L'Anse-aux-Meadows, Newfoundland. Archaeologists used radiocarbon dating to find out how old the settlement was. Their tests gave them a range of dates from about AD 700 to about AD 1000. Some English words, and many place names, came from the Scandinavian and Viking language (Norse). For example, the words skirt and shirt came from the word skyrta, meaning a tunic. As English changed, the semantics altered to give us the separate words 'skirt' and 'shirt' we know today. Skin came from the Norse word skinn (which meant to strip the meat off something). 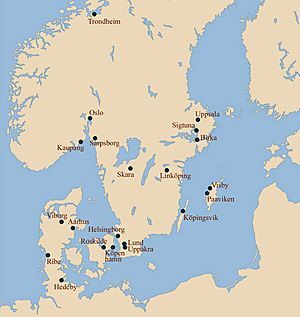 Some place-names in the areas the Vikings conquered are still in use. For example in Yorkshire places ending with -thwaite meant a clearing, and dale which meant a valley. The word thorpe meant new village, such as Scunthorpe. The Anglo-Saxons called the Vikings pagans. They worshiped a great many gods. Viking gods belonged to two groups of gods in Norse mythology. They either belonged to the Aesir or the Vanir. The Aesir were gods of war. Aesir means "gods". They were the rulers of Asgard. 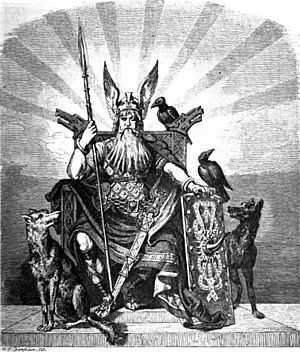 Odin was the leader of the Aesir. He and the gods under him ruled mortal men. The vanir were wise gods skilled in magical arts. they live in Vanaheim, although nobody knows where it is. The Vanir can also predict the future. There was a war between the Aesir and the Vanir. When it ended the god Njord and his children Freya and Freyr came to live in Asgard. The pagan Vikings were exposed to Christianity from the beginning of the Viking Age. They were surrounded by Christian countries. Early Christian missionaries were either enslaved or put to death. The Vikings came into contact with Christianity when they raided other areas around them. Viking raids produced many Christian slaves who were brought back to Scandinavia. They called Christians "Cross-men" because of the cross in their worship. In response many Vikings adopted Thors hammer as their religious symbol. When Vikings settled in Christian areas they converted to Christianity. There are still Headstones in England with both a cross and a hammer. Perhaps they thought it was better to be safe than sorry. That, or the more gods the better. As some Vikings turned from raiding to trading they found a nominal (in name only) profession of Christianity to be helpful. Scandinavia, their homeland, was slower to change to the Christian religion. But by the mid-11th century most of Norway and Denmark had converted. Sweden was converted by the mid-12th century. Overall Scandinavia and the peoples of the Baltic Sea were the last to accept Christianity. The Viking's religion affected Christianity as well. The pagan celebration of Yuletide became Christmas along with the custom of the Christmas tree. Priests blessing the fields took the place of pagan fertility rites of spring held to make sure there was a good harvest. Norse kept their "farm gods" well after Christianity just to make sure they were protected. Santa Claus owes much of his legend to the Norse god Odin. With his snow-white beard he traveled the midwinter sky on his eight-footed steed Sleipnir visiting his people with gifts. He became Father Christmas. Blended with the Christian Saint Nicholas he (they) became Santa Claus. A reconstructed Viking house in Iceland. A reconstructed Viking Age long house, at Fyrkat, Denmark. A large reconstructed chieftains longhouse at Lofotr Viking Museum, Norway. Reconstructed town houses from Haithabu (now in Germany). Typical jewellery worn by women of the Karls and Jarls. Ornamented silver brooches, coloured glass-beads and amulets. The scales and weights of a Viking trader. Used for measuring silver and sometimes gold. From the Sigtuna box. Vikings Facts for Kids. Kiddle Encyclopedia. This page was last modified on 18 April 2019, at 18:16.